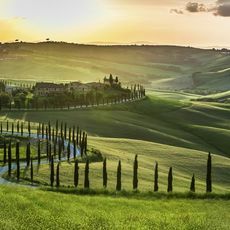 Starting on the Tuscany borders, this magical, seven night, eight day e-bike tour is a ‘gourmet adventure’ in to the hills and valleys of classic Umbria. 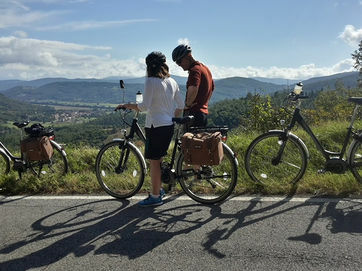 Our Tuscany and Umbria e-bike tours are the perfect way to discover the rolling hills of the region. 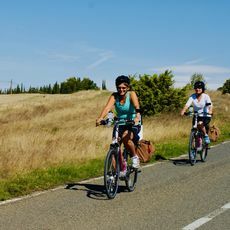 Gone are the days of huffing and puffing your way to the top, e-bikes make light work of the undulating terrain leaving you free to take in the spectacular scenery with the wind in your hair. 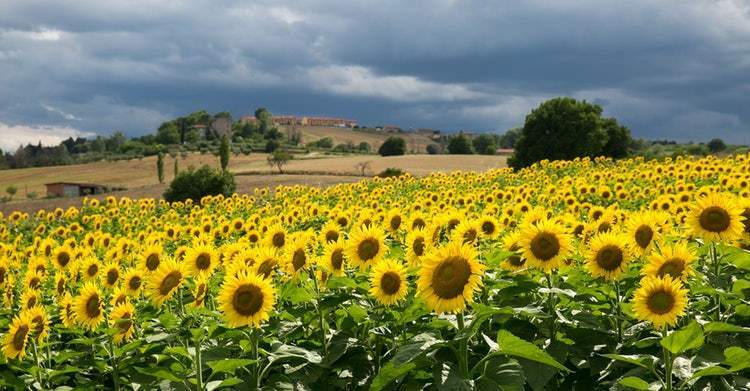 Group size : Maximum 8 people plus local leader. 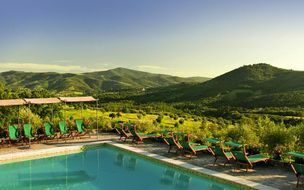 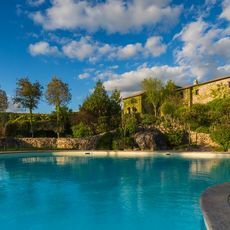 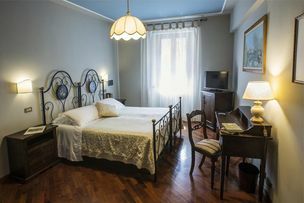 Set up in the hills of southern Tuscany with spectacular views of the surrounding valley and Lake Trasimeno, the Tuscan jewel of Cortona is where you’ll begin and end your safari. 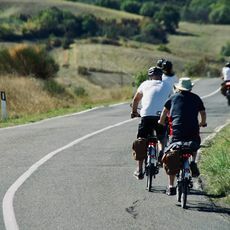 At your villa you’ll be fitted out with your e-bike and briefed on how to use it before enjoying a first drinks and dinner with your group. 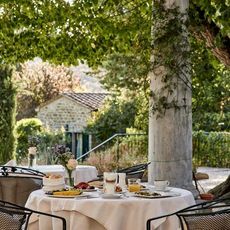 After breakfast, begin your journey towards the Tuscany and Umbria border to visit ancient castles of the Niccone Valley, then stop mid morning for a delicious coffee. 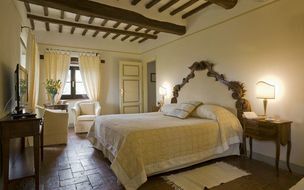 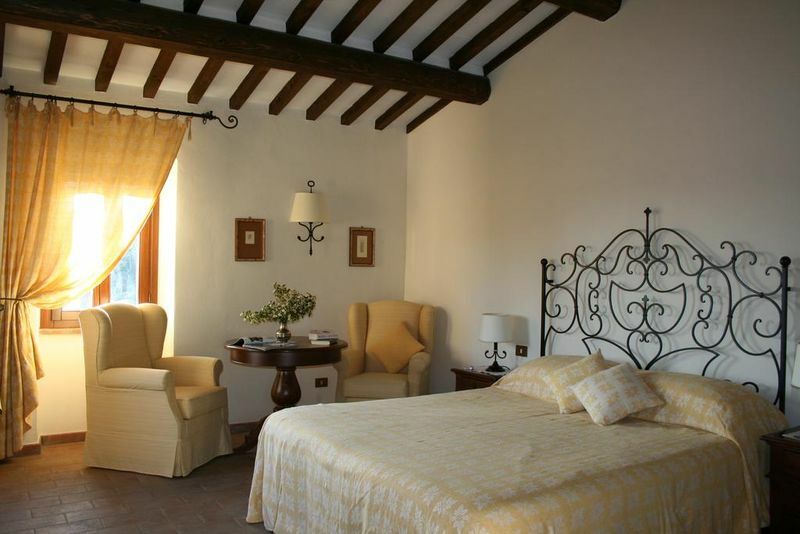 You'll enjoy a fantastic private tour of a genuine, traditional Tuscan castle. 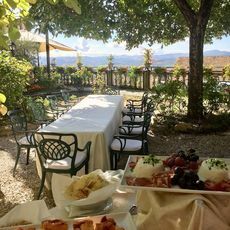 Enjoy lunch in the Upper Tiber Valley before taking the riverside path and country roads to medieval Montone where you’ll feast on a fabulous dinner, prepared by none other than celebrity chef, Giancarlo Polito. 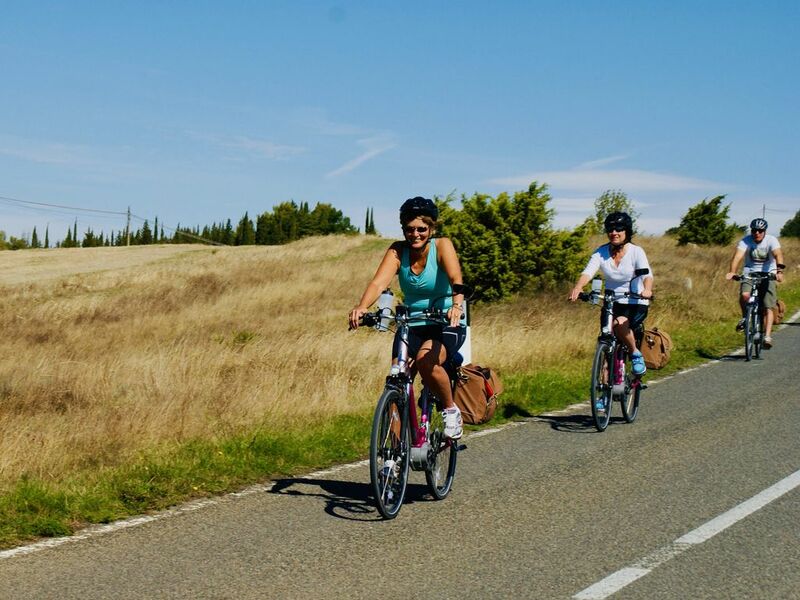 The distances may seem a little further than our usual tours, but thanks to the power assisted e-bikes which are provided as standard, the hills will be a breeze! 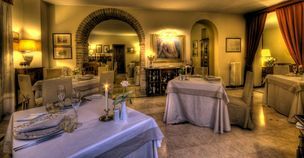 Celebrity chef, Giancarlo’s dinner with fine wine tasting throughout. 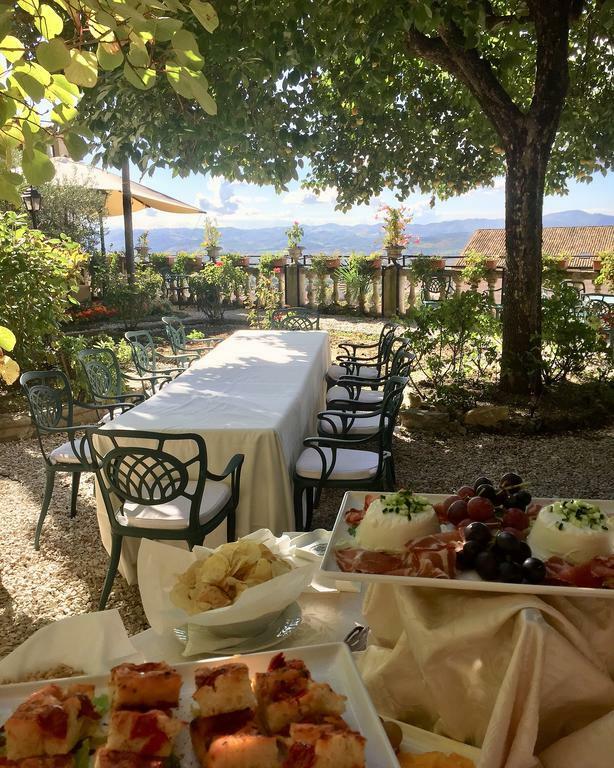 Six lunches including wine and six delicious dinners. 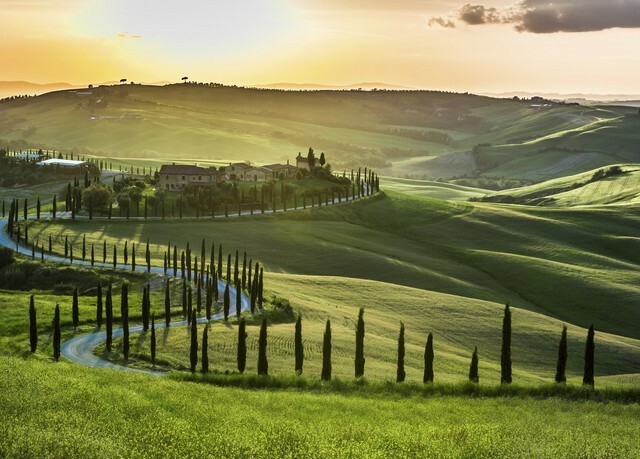 Private Tours, Events, Entrance Fees, Gratuities & Tips. 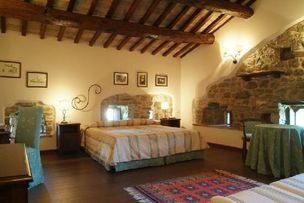 The four stunning historic castles in the Niccone Valley, with a private tour of a Tuscan castle. Descend into the broad Assisi valley, heading west, and recharge mid morning at a local cafe. Then head to Cantina Goretti, where you can taste L’Arringatore, the wine of the Pope and a light lunch. 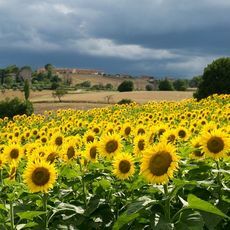 The afternoon gentle ride continues towards the rolling hills of Panicale. 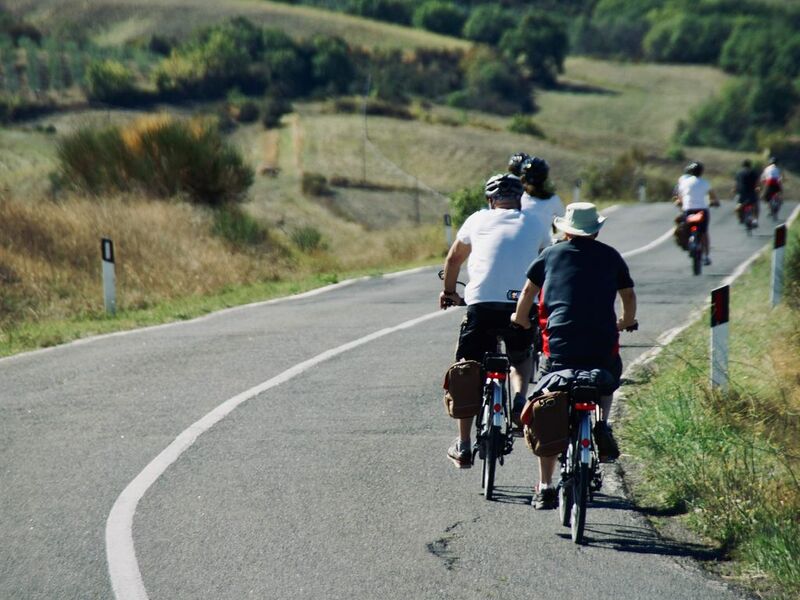 A short ride soon reveals the shores and expanse of Lake Trasimeno. 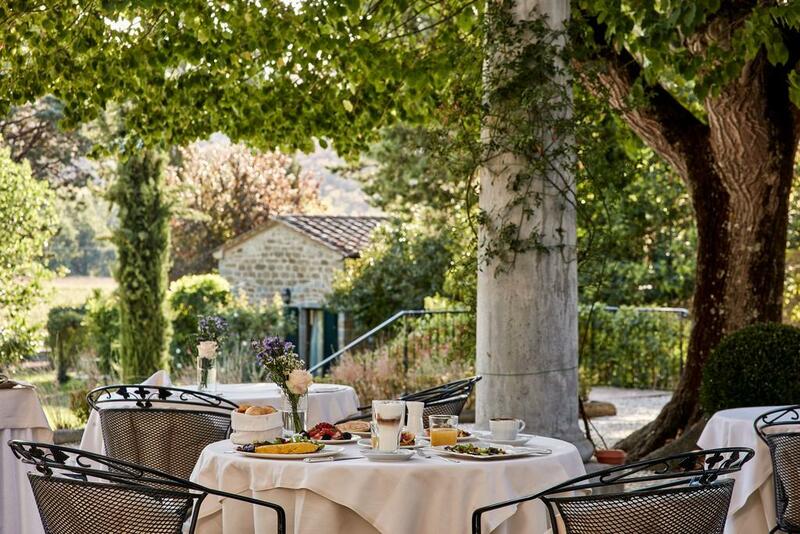 Enjoy a delightful mid morning coffee, then lunch in the vineyard with local wine tasting. 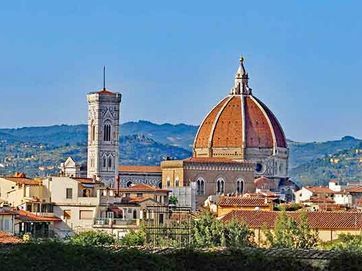 Then meander back to Cortona via the battlefield where Hannibal routed the Romans in 217 BC. 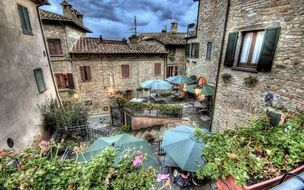 Nestled away in the wall village of Montone, La Locanda del Capitano is a small but perfectly formed hotel and restaurant. 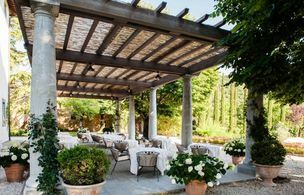 The restaurant is run by celebrity chef Giancarlo Polito, serving traditional dishes with a contemporary twist of the highest standard. 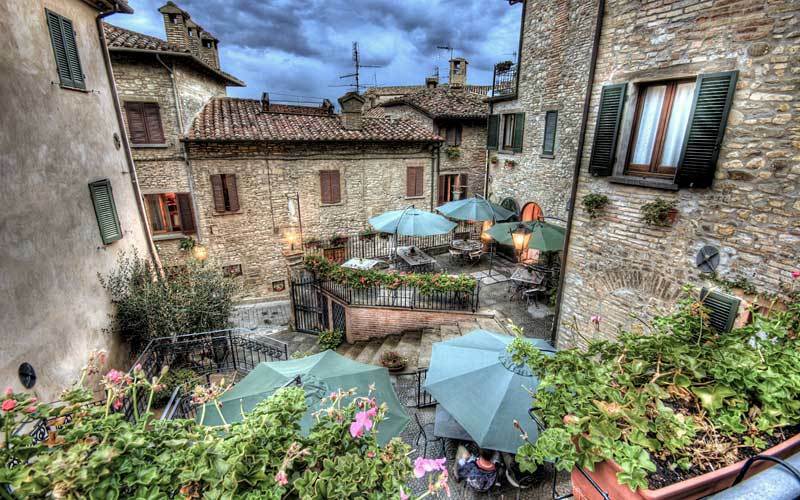 This rural hotel overlooks the town of Assisi. There is a spa and a restaurant serving delicious local food. 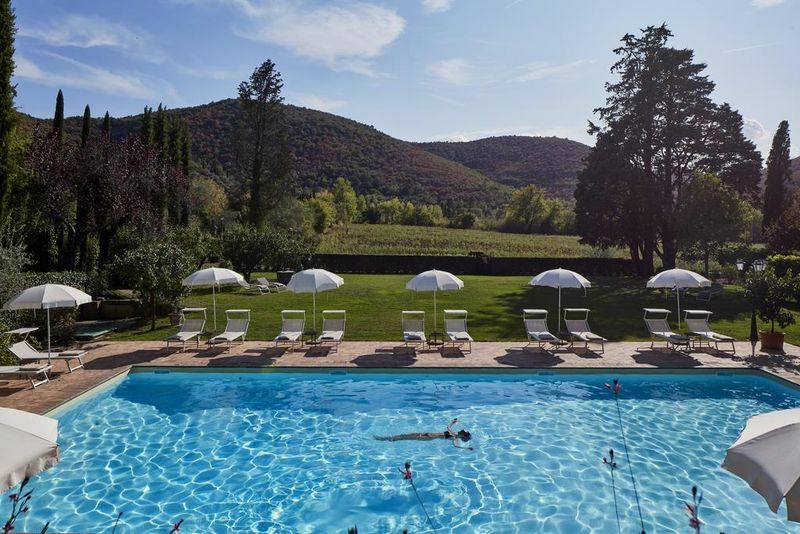 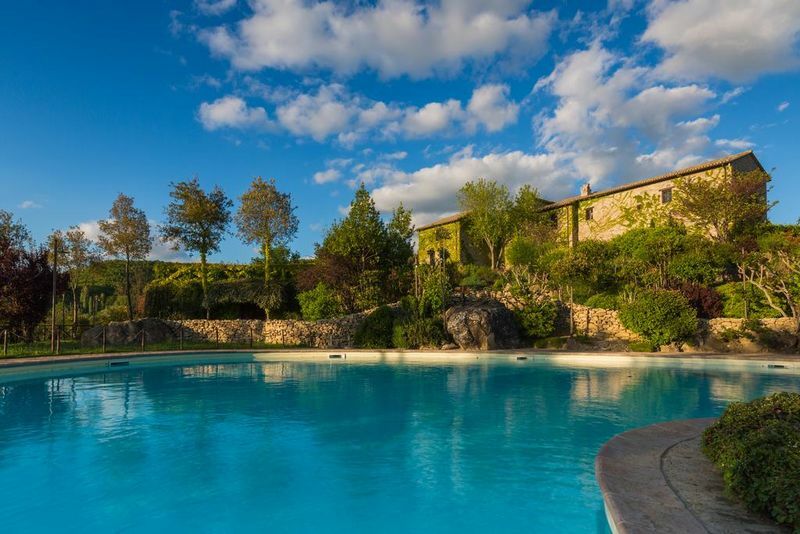 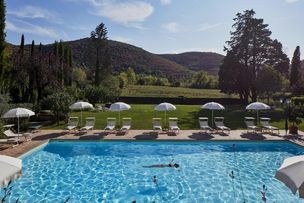 There is also a swimming pool and the option to take a taxi into Assisi for the evening. 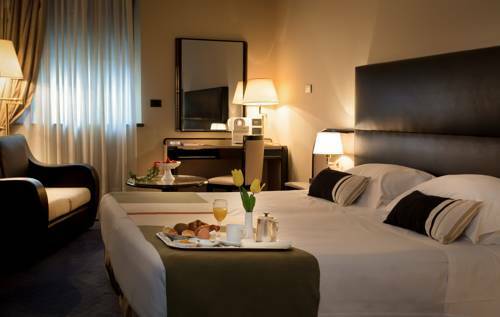 If you are looking for a different departure date, please speak to one of our Activities Experts on 020 7471 7760. We can also offer a shorter 5 day Guided Group itinerary. 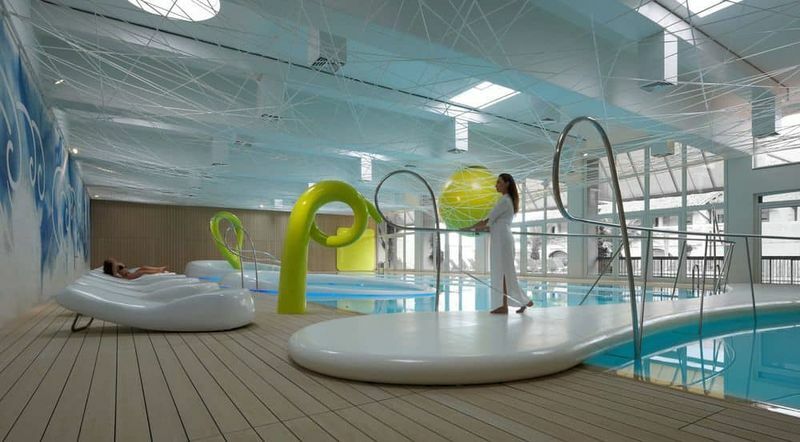 Please ask our Activities Experts for more information.